Posted March 6, 2014 & filed under Mobile Banking. Research is showing that a majority of consumers are interested in using new forms of electronic payments, including Personal Payment Transactions and Mobile Banking. Research also showed that the number has doubled from 8% to 16% for those that used mobile phones to pay bills. Now is the time for you to connect with your younger members. 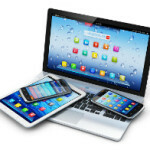 Consumers are attached to their cells phones, tablets, and iPads. Sharetec can help keep your members attached to your credit union. Sharetec offers both a Mobile and Text option for your members to choose from. Keep your members up to date with Mobile Banking from Sharetec.